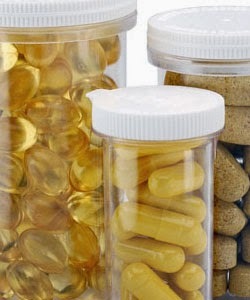 Many turn to vitamins to get the edge on healthy, stronger, and longer hair and for good reason. Many suffer from hair loss, whether there is a deficiency in particular vitamins, they have a medical condition such as alopecia or they are just growing older. The best way to get enough vitamins is to eat a balance diet with a variety of food and here are best vitamins for optimal hair growth or at the very least to stave off deficiencies that can create hair loss. Vitamin A is involved in immune function, vision, reproduction, and cellular communication, according to Dietary Reference Intakes. Its chemical names are retinol, retinal, and for carotenoids. Vitamin A is a powerful antioxidant and its main function is mainly to promote eye health but it is a widely used means to promote healthy hair too. It is used to produce healthy sebum. Foods you can find high levels of vitamin A are cod liver oil, krill oil, carrots, peaches, kale, pumpkin, and spinach, but exercise caution when upping your vitamin A intake. Too much vitamin A can lead to toxicity, which is why eating foods containing vitamin A is better than taking supplements with large doses. Deficiencies in vitamin A include skin and vision problems. A popular vitamin for hair growth and strength, biotin is sometimes referred to vitamin H and promotes healthy hair by increasing the hair’s elasticity. It is the most researched of all vitamins for hair loss and is even added to many shampoos for that very reason. Biotin helps produce keratin and is a water-soluble vitamin that most people can get enough of from the foods. Foods high in biotin are Brewer’s yeast, brown rice, bulgur, green peas, lentils, and oats. Symptoms of biotin deficiency include are usually hair loss, chronic conjunctivitis, and dermatological issues. Because it is water-soluble and our body cannot retain it, our bodies need enough of it each day. WebMD says biotin supports the health of the skin, digestive tract, metabolism, and even cells. Niacin, also called nicotinic acid, occurs naturally in plants and animals. It lowers cholesterol and triglycerides in the blood and also used to lower the risk of heart attacks in people with high cholesterol. This amazing vitamin also helps to nourish the scalp and promote healthy hair growth. Without adequate amounts of niacin your hair can become brittle, lifeless, and may even end up falling out! Top foods with niacin are fish, chicken, turkey, pork, liver, peanuts, beef, mushrooms, green peas, sunflower seeds, and avocado. Like all B vitamins, pantothenic acid converts food into fuel, which produces energy. Vitamin B5 is believed to help strengthen hair follicles and allowing them to function properly. Without this vitamin your body would not be able to use carbs, fats, or even proteins as energy sources or make hormones, which would cause your immune system would collapse. Great sources of this vitamin are cauliflower, some mushrooms, whole grains, and eggs. Folic acid is used in our bodies to make new cells and the Center for Disease Control & Prevention (CDC) states this is very important for women to have this in their bodies prior to pregnancy to prevent major birth defects of her baby’s brain and spine. This water-soluble vitamin is important for cell turnover for the red blood cells as well as other proteins in the body. This is the main reason it is great for hair growth, as a deficiency in this vitamin can factor how fast your hair grows and its thickness. B9 can be found in leafy vegetables, legumes, liver, baker’s yeast, and sunflower seeds. When taking this as a supplement for hair growth, many take up to 10 mg. a day. A water-soluble vitamin need for growth and repair of tissues in all parts of the body. It is an antioxidant that helps to block some f the damage caused by free radicals and our bodies are not able to make it on their own nor can our bodies store it. It is very important we have plenty of this vitamin in our daily diet. Vitamin C is important for the immune system but is also used in plenty of hair care products because it builds collagen, which is highly important for hair growth and maintaining the strength of the hair. It also plays a necessary role in absorbing iron, which helps to keep your strands strong and healthy. Medline Plus says you can get vitamin C from cantaloupe, kiwi, mango, broccoli, green and red peppers, and tomatoes are excellent food sources of vitamin C.
This fat-soluble antioxidant is involved in immune functions, cell signaling, regulation of gene expression, and other metabolic processes. The best way to get your daily requirement of it is though foods like vegetable oils, nuts, seeds, green leafy veggies, fortified breakfast cereals, and fruit juices. It prevents hair loss and promotes hair growth by enable growth of the capillaries.